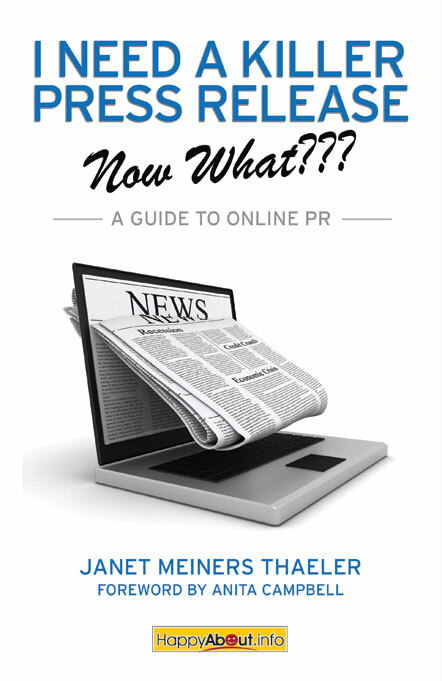 What’s to do when press releases aren’t fashionable anymore ? Some tips here from Claire Celsi via PR Daily. • Google the reporter’s name. After ensuring that she still writes for the news outlet, click on one of her recent articles. Make sure it is within the same genre as your pitch. In other words, if you are pitching a health-care story, make sure she covers health care. • Write a one-paragraph personalized intro for every email you send. “I read your series on health-care abuses in the nursing home industry…” Show some interest in the reporter’s work. • The remaining portion of the email can be the same for every reporter. This is your brief opportunity to capture the reporter’s interest with your pitch. Make it short, and make it interesting. 2. Make a website posting (preferably a blog post). If your client has a newsroom or a blog, post your pitch material in the form of a Web article or blog post. Use story-telling language, not a standard press release format. Tag the post with keywords, and link to the company’s website or to other information, if possible. You can start a new blog on Posterous in less than 15 minutes. 3. Send a Tweet. Turn your key idea into a tweet. With a little practice, you’ll be a pro at getting your message across in one or two tweets. Ideally, it would be great to send these messages to a reporter as a direct message, but if all else fails, go ahead and say: @JeffZeleny, did you know that the most outstanding pork tenderloin sandwich in Des Moines is at Smitty’s?” (Of course, you’ll want to come up with your own tweet material.) If the reporter does not respond, follow up with an email pitch. 4. Send a Facebook message. I’m friendly with a lot of local reporters on Facebook, but not so many national reporters. Even if you’re not friends with a reporter on Facebook, you can still send them a message. Attach a link or photo if you have one. 5. Pick up the phone. Sometimes a quick conversation to gauge a reporter’s interest can save you a lot of time, especially when it seems as though a reporter is no longer covering that beat. If you keep your call brief and courteous, the reporter will be happy to point you in the right direction. If they don’t answer or are on deadline, follow up with a pitch email. 6. Offer to meet a reporter for coffee if you’re both in the same city. Sometimes reporters are looking for any excuse they can to get out of the newsroom for a while. 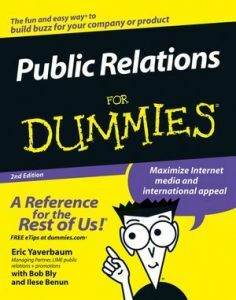 In “Public Relations for Dummies” 2nd edition , authors Eric Yaverbaum and Bob Bly explain extremely simple the basics of PR for everyone who wants to understand the concept and the need of public relations services. Eric Yaverbaum has more than 25 years of experience in the practice of public relations and has earned a reputation for his unique expertise in strategic media relations, crisis communications, and media training. Eric has amassed extensive experience in counseling a wide range of clients in corporate, consumer, retail, technology, and professional-services markets and in building brands such as Sony, IKEA, Domino’s Pizza, TCBY, Progressive Insurance, and American Express, among many others. Bob Bly is an independent copywriter specializing in traditional and Internet direct marketing. He has written lead generating sales letters, direct-mail packages, ads, scripts, Web sites, Internet direct mail, and PR materials for more than 100 clients, including IBM, AT&T, The BOC Group, EBI Medical Systems, Associated Air Freight. Editors get hundreds of press releases weekly, all typed in the correct format, and they throw out 99 percent of them. A professionally prepared release is important — the editor probably won’t read one that is handwritten on a scrap of grocery bag — but content is what makes your release the one in a hundred that actually gets read and used. Make sure that the subject of your release is important to the publication’s readers. If you were the editor and you had dozens of releases but could publish only a few, would you select your own release? Are the information and story in your release really important — not to your business, but to the publication’s readers? If not, forget it and look for a new angle. Make sure that your release is really news and not just an advertisement in disguise. Editors aren’t in the business of publishing advertising. Almost all will immediately discard publicity that is really advertising in disguise. Of course, most publicity has some advertising value or purpose, but write your publicity to give news or helpful information only. Write your release so that the publication’s readers benefit from it. 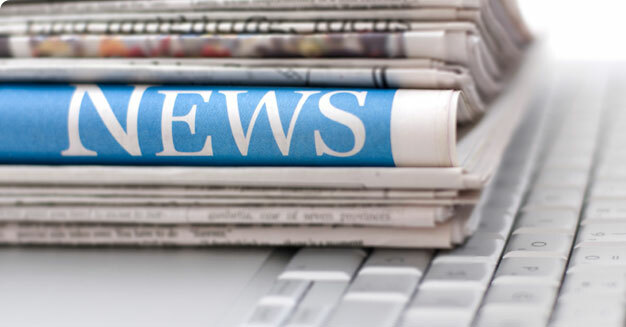 Your publicity will get published more often if it contains important news that will benefit the publication’s readers. This could be new technology that the readers will be interested in, helpful information, or an emerging trend. Keep it short and to the point. Editorial space is very limited, and busy editors don’t have the time to sort through irrelevant copy and cut it down to the main points. Write clear and crisp sentences using only the important, relevant information. Tighten the writing. Keep paragraphs and sentences concise. Avoid jargon and repetition. Use strong verbs. Create lively, but accurate, text. 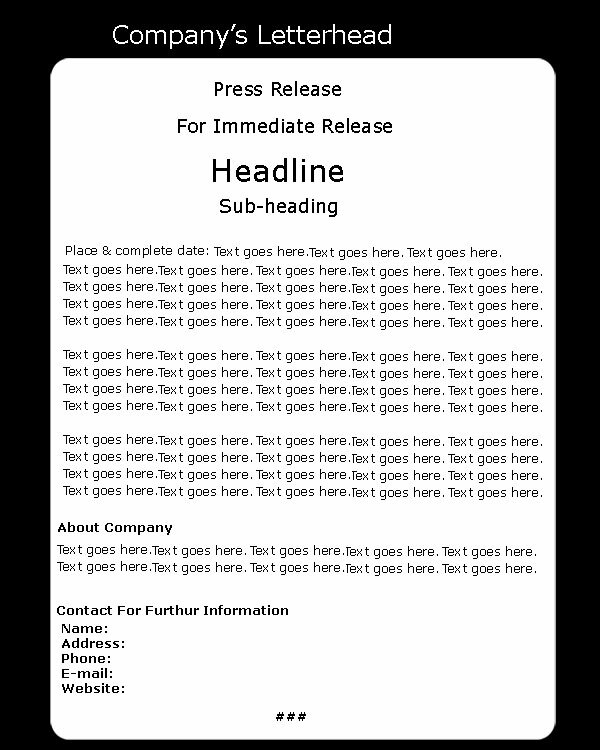 Include what the editor wants in your press release. That is, does it have facts to back up your statements? Include the who, what, when, where, how, and why details. Use subheads in longer stories, at least one per page. A subhead is a smaller head that divides documents into sections, as do the smaller subheads throughout this book. Subheads in a press release help the editor grasp the entire story at a glance. Consider adding a tip sheet for details that would otherwise clutter your release. For example, a new restaurant, when sending out a press release announcing its grand opening, included a separate tip sheet listing five specialty dishes along with the ingredients and recipes. Make the release stand on its own. Don’t include a cover letter. If you feel a cover letter is needed to explain why are you sending the release or why an editor should be interested in using it, then your press release isn’t strong enough. Go back and rewrite your press release until it’s irresistible to editors. Get all the facts and establish perspective before starting to write. Adding and rewriting later costs time and money. Keep the news up front, not behind the interpretation or buried in paragraphs of analysis. Cut out puffery; stick to newsworthy information. Put opinion and interpretation in an executive’s quotation. For example: “Within a decade, file transfer between different computer platforms will be seamless and device-independent,” says Bill Blathers, CEO, MicroExchange Software. Use straightforward headlines. Forget the cute headline that forces an editor to dig through a paragraph or two to discover the who, what, when, where, and why. The headline should summarize the release so that an editor quickly understands your point. Leave plenty of white space (blank space). Doing so is especially important at the top of page 1 because editors like room to edit. Doublespace and leave wide margins. Never use the back of a page. 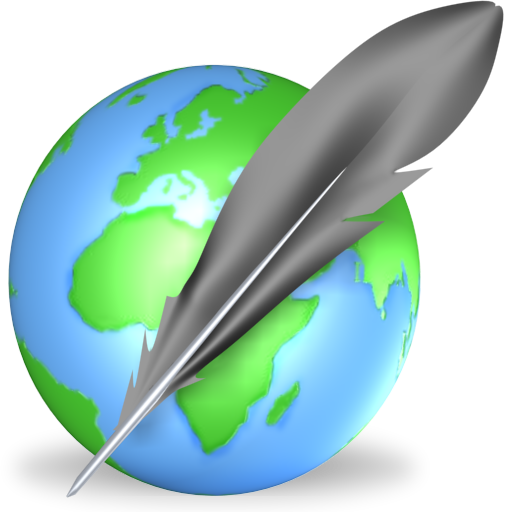 Write for a specific editorial department: news, lifestyles, real estate, financial, new products. Similarly, provide separate story slants (in separate releases) for different categories of magazines. To publicize a directory of free information, for example, press releases could highlight the free information resources of interest to different editors. A press release featuring free information on gardening, real estate, and do-it yourself tips could be aimed at home magazines. A different release featuring free information on starting your own business could target business editors. Create separate, shorter releases for radio and, at minimum, color slides and scripts for television. End releases with a boilerplate paragraph that explains the organization or division. Many press releases include, before the closing paragraph containing the response information, a standard description of the company and its products. This information is helpful for editors who are unfamiliar with you or want to give their readers a little more description of who you are and what you do. Consider editing the news release copy for product bulletins, internal publications, and other uses. Write to gain respect for your organization and your next release. Be accurate and honest. Present clear and useful organization. Deliver value to the reader. Avoid hype and blatant self-promotion. Streamline the clearance process so that only two or three executives approve each release. Doing so saves time and minimizes the chance to muddy the text. The information is entirely copied from “Public Relations for Dummies” just because I consider it essential for everyone interested in writing not only a press release, but also any type of material for the mass-media. Days ago, I wrote an article about do’s and do not’s for media interviews, from Crisis Communications A Casebook Approach written by Fern Banks. Today, I’m going to write trick questions that journalists use to obtain more spicy information. false questions intentionally contain inaccurate details in them – “You fired half of over-50 staff, right ?” where the public relations professional, knowing the statistic is wrong, could counter with “No, only 40%”, not realizing the reporter was aiming for that information all along. 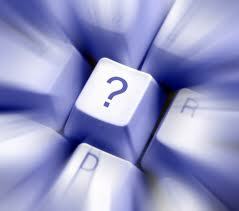 know-it-all questions begin with “We have the story. I just need a few wrap-up facts.” The reporter may want you to merely confirm an already formed viewpoint. silence is used by reporters who want you to spill your guts, to talk on and on. multiple-part questions can be confusing to you as well as to the public. Ask which part you should ask first, then answer each part as separate question. jargonistic questions are those in which technical words or professional jargon are used. If you want to discover what these trick questions can do, I highly recommend you to watch All the President’s Men , where two journalists Woodward and Bernstein uncover the details of the Watergate scandal that leads to President Nixon’s resignation.